We know the importance of reading stories but what about telling them? Even children younger than nursery-age can benefit from storytelling. Storytelling helps develop children's communication skills. This can lead to fewer tantrums both at home and at school because they will learn to use their words, rather than screaming or kicking. Storytelling also helps children learn empathy. Creating or listening to stories with characters from different backgrounds helps them to relate and encourages children to be open-minded and non-judgmental. 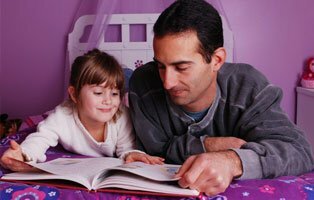 When telling stories children need to remember character names and key plot points. This helps to exercise the memory skills of children. You can build on this benefit by taking the time to ask questions about the story during and after the story, further engaging memory skills. You can even use storytelling to aid emotional and social health. For example, if a child is worrying about a test, starting a new school, or going to the dentist, they can make up a story with a character in the same position, and delve into how that character would overcome the situation. This way, your child will feel less anxious and more empowered. Games are an easy way to encourage your children to start thinking about how they would write their own stories, and will also encourage them to think of storytelling as something fun and exciting. Here are a few examples of games you can try at home. Finish the story: This game requires at least 2 people. Let the first person say one sentence, then the next person says the next sentence, carrying on the story and so forth, through the story's climax and resolution. This game helps children build teamwork skills as well as creativity, as the children have to listen to each other in order for the story to make sense. Why...Because: This game is best played with as many people as possible. The first person writes down a sentence beginning with "why" e.g "why do dogs bark?" They then fold down the piece of paper and the next person writes a sentence beginning with "because" e.g "because the sky is blue", without seeing the previous question. Pass the piece of paper around the group, folding it over every time and when everyone has written a sentence, open it up and read it aloud, which will undoubtedly produce some giggles. The example here would be "why do dogs bark? Because the sky is blue". If your child is still too little to write, you can partner up and discuss your answers. Picture story: This game can be played before children have even learned to write. Simply show your child a photo from a newspaper, magazine family photos etc., preferably with people in it, and ask your child to make up the story behind the photo. If they're old enough, get them to write the story as well. Puppeteers: Buy (or make!) puppets to be used as characters in a story. This way, children will have fun acting out the story, through the puppets, while narrating at the same time. You can even create a mini theatre from a cardboard box and have the children put on a storytelling show for friends and family.